So, how is everyone? We have been busy with Thanksgiving and school events, as well as some personal business that required a week's travel and quite a bit of my brain space these days. I hope you are doing well and having fun getting ready for Christmas. The kind people at Wonder Forge sent me more cool games to share with you and I am really excited about this line of products. 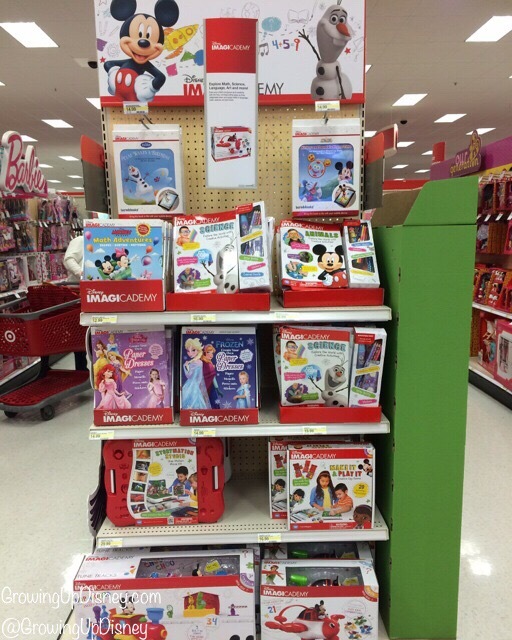 Wonder Forge is a part of the Disney Imagicademy line of toys, games and books available at Target. 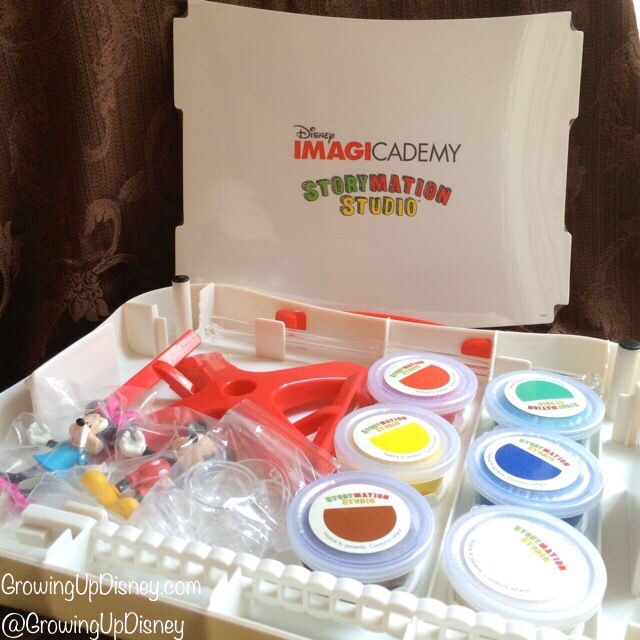 Imagicademy toys fall into that great category where Disney, fun, creativity and education overlap. Here's a link to Imagicademy at Target. 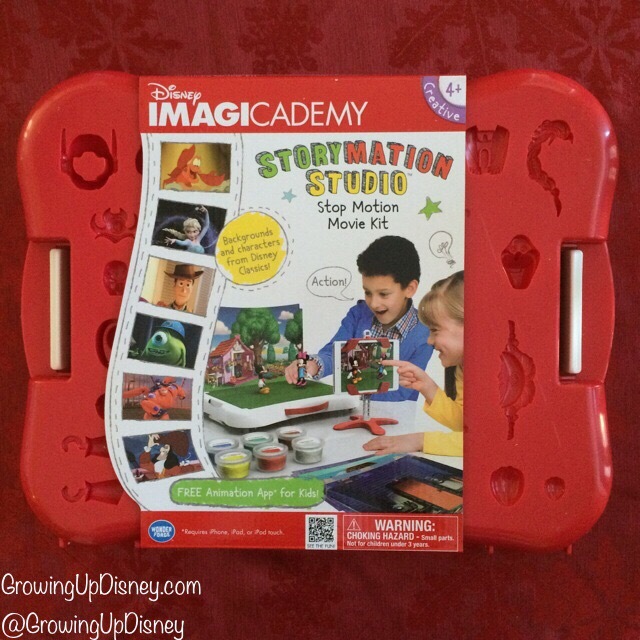 The first set I'll be sharing with you is the Disney Imagicademy Storymation Studio Stop Motion Movie Kit. (Whew, long name.) I don't have cute pictures of my kids playing with this yet because I've wanted to wait until we could really take the time to enjoy it and things have been super busy here lately. However, my own assessment of this is that I cannot wait to play with this kit. I plan on wrapping it and putting it under the tree and then letting the girls open it before Christmas during their break from school. When I was a child, my grandfather would allow my cousin and me to play with his video camera. We created all sorts of movies and wonderful memories. I think this kit will help my girls do the same. 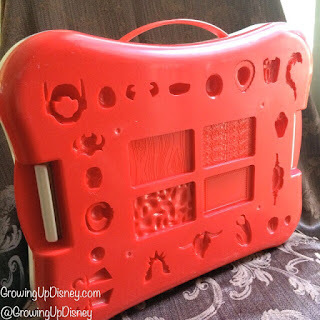 This kit works with your smartphone or tablet to capture individual images and then turn them into your own Disney-themed movie. 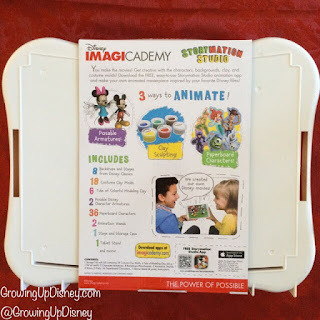 You'll need to download the free Storymation Studio app. I know it is on the Apple App Store. If you use another device, double check your own app store to make sure it's compatible. I like the adjustable stand that comes with the kit. It will keep the device in place for consistent shots which will really improve the image quality. The kids take the picture by clapping so you don't get camera shake. Great idea, Wonder Forge. The white portion of the case holds the stages and backgrounds. Eight of those are included. The red part of the case has molds for the modeling clay. 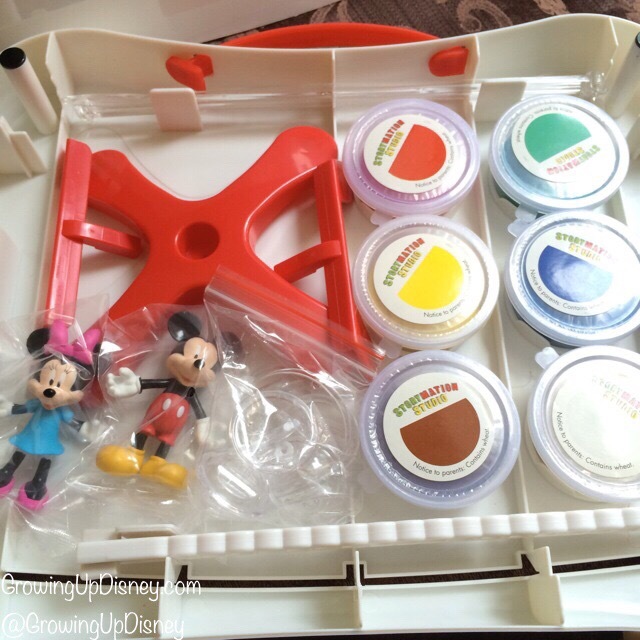 I'm totally going to put a Baymax helmet on Mickey. 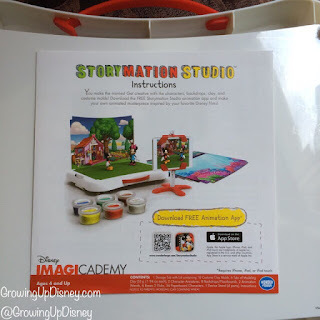 A really good instruction guide is the first thing you see upon opening the box. Follow along and you'll soon be making movies and having a blast. Here's what's inside the box. The white package at the back of the photo is the pack of backgrounds, stages, and cardboard cut-out characters. 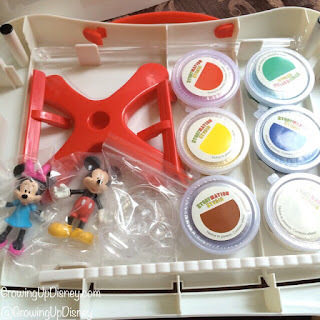 The Mickey and Minnie figures are poseable so you can make minor changes and then put the images together to create the illusion of movement. I think this is a really great kit and I am looking forward to playing with it along with my kids. It's rated for 4 and up. I think my 4-year-old will like it but my 6-year-old's attention span is better and she will love this. I'd say this would be an awesome gift for children in the 6-10 age range. The Disney Imagicademy Storymation Studio Stop Motion Movie Kit is currently available at Target for $29.99 and they are offering free shipping. My local store was well-stocked with Imagicademy merchandise. Thank you to Wonder Forge for providing this toy for my review.